Combining a distinguished sales background with a lifelong passion for New York City, Susan offers her clients a commitment to delivering unparalleled service and support, tailored to each client's individual needs. Susan came to residential sales after running a family property management company for 14 years. With her expertise, approachable, energetic personality, and personal passion for real estate, she was able to take the company from operating at a loss to a 200% profit, in 1 year. She developed loyal, trustful relationships with her clients, which also helped to make her management business a success. Susan has taken this unwavering entrepreneurial spirit to help energize her thriving real estate career. Her ability to think outside the box has served her clients well and resulted in repeated success when innovation and perseverance were required. Susan focuses on assessing each client's unique needs and requirements in a practical way in order to match ideal properties to their lifestyle and budget requirements. Constantly educating herself on the changing market and different neighborhoods, Susan offers a unique insight, which she shares with her clients, guiding them to the best value possible. Besides her experience in New York City real estate, Susan also understands construction, design and envisioning the potential of space, having built two homes and currently renovating an older home on the North Fork of Long Island. Her keen attention to detail, diligent work ethic and outgoing personality are sure to make the real estate process an enjoyable and enlightening experience. For the last few years, Susan has played a successful role in securing residential properties for corporate clients relocating to New York. Loyal to her clients, trustworthy and steadfast, Susan does not give up, continually looking for the perfect home for her clients. Originally from Surrey, England, Susan holds a Bachelor of Arts degree in Marketing and History. She began her career in the buyer's trainee program at Bloomingdales. 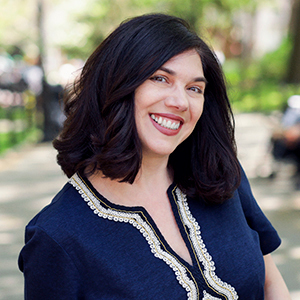 A resident of Sutton Place for over 20 years, Susan is a certified neighborhood expert in Chelsea and the Upper West Side. She is a volunteer Parent Tour guide at her son's school and a member of the Oysterponds Historical Society on the North Fork.